Those who say Singaporeans are a soulless, academic and boring bunch need only take a look at what has been trending in the past week to see how wrong they are. Faced with what is likely the country's worst MRT breakdown on Tuesday, commuters - typically surly, aloof and absorbed in their smartphones on their journey - took to social media to vent. Naturally, hashtag #SMRT started trending almost immediately, accompanied by photos of unhappy faces and long queues. Anyone on Facebook at that time would have noticed the deluge of complaints also. But something changed as the night wore on. Perhaps it was the close proximity commuters shared on their collective arduous journeys, or that nothing unites people better than a common adversity, but the tone shifted - kind acts started to surface. The struggle for victory in the most beautiful game turned ugly when some people took to Twitter to taunt the losing side. ''Pearl Harbour'' was a top trend after the United States claimed the soccer World Cup crown from Japan, a reference to the attack during World War II. Anothergem from Mr Brown, this trend started after SingPass underwent a security upgrade. This, he said, was an opportune time to think up possible SingPass questions as users failed to log in. Families of the victims and those affected by the tragic Malaysia Airlines Flight MH17 have taken to Twitter to express their love in the lead-up to the anniversary of the crash on July 17. ''We remember.Wehonour. Always and forever,'' said the airline's official account. A fast-food chain started serving drinks to people in the queue, people started giving way to each other, frustrated commuters started carpooling, and those lucky enough to get cabs gave less fortunate ones a ride. Creative types started rewriting song lyrics, while others produced poems. The hashtag #ThingsIDidWhenMRTWasDown started by popular local blogger Mr Brown - began trending. The cascade of angry, vulgar posts was suddenly interspersed with levity. On his Instagram account, South Korean singer Alexander Lee Eusebio who had been in town recounted how he had, despite the breakdown, met many warm and kind strangers. "I am glad I extended my flight because I saw a different side of this beautiful country," he posted. In the days ahead, stories would be written - to assign blame, to question regulators, to press for reform. But on that night, as tempers frayed and cooled, the word most commonly used in tweets on the train breakdown was one everyone could identify with and work towards - home. #WalkTogether trended across London on the 10th anniversary of the attack that claimed the lives of 52 people and injured 700 more. The initiative urged commuters to leave the train a stop early and walk, remembering the afternoon of the attack. Said one user, Andrew Dysch: "Still have the shoes I was wearing to walk 5 miles on 7/7. The blisters have gone, not the memories." You might notice teenagers sporting fake unibrows, acne, bad hair and bad teeth trending on social media. They then transform back into their regular selves in later pictures. 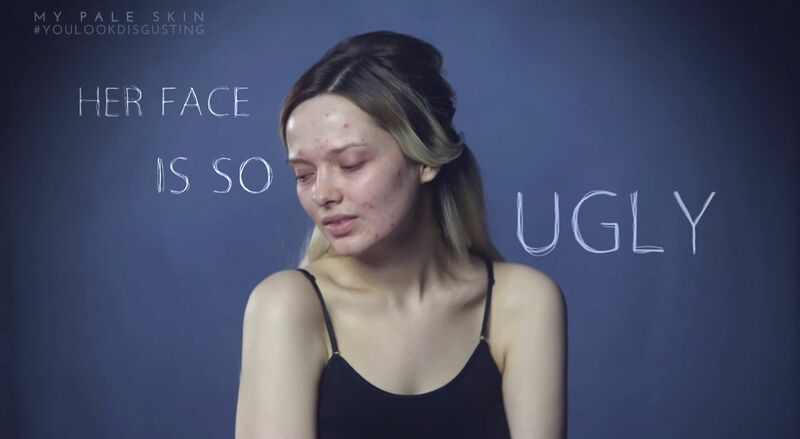 The hashtag #DontJudgeChallenge, meant to encourage viewers not to judge a book by its cover, started after beauty blogger Em Ford uploaded a video last week showcasing negative comments she received when she did not have makeup on. Critics, however, argue that the trend has backfired, as it pokes fun at those who genuinely possess unfavourable attributes. An honest act by 29-year-old Panneerselvam Kulothungan has taken a life of its own. The foreign worker accidentally scratched another vehicle while driving a company van in Bukit Batok, and decided to wait for the owner of the vehicle to show up. When he did not, Kulothungan left two notes on the vehicle, offering to pay compensation. He also went back to the carpark the next day just to look for the owner. A post on The Straits Times Facebook page has reached more than 2.1 million users and garnered about 55,700 likes, comments and shares.